A bilingual fiction title for children who are independent readers. The twins' grandfather has invented an amazing watch - at the press of a button, you can go back, or forward, in time. Whoosh! Suddenly they find themselves in Ancient Egypt. But will they ever get home again? The parallel text, speech bubbles and pictures by different, talented illustrators provide a child-friendly bridge to reading - and speaking - in another language. There is a quiz at the end of each story to help comprehension and revise vocabulary. Take a look at the other books in the series, including Lets Read: Un nouveau monde/A New World (Lets Read in French & English), Lets Read: L'étranger dans la neige/Stranger in the Snow (Let's Read in French and English), Lets Read: Un extraño en la nieve/Stranger in the Snow (Let's Read in Spanish and English),Lets Read: Un nuevo mundo/A New World (Let's Read in Spanish and English), Le rocher rouge/Red Rock (Fre-Eng) (Let's Read), Where's Toto? : Donde esta Toto? : Donde Esta Toto? (Let's Read), Lets Read Spanish - Danny's Blog: El Blog De Daniel (Let's Read), La Carrera de Carros/ The Chariot Race(Spa-Eng) (Let's Read), La Course de Chars/The Chariot Race (Fre-Eng) (Let's Read) and La Roca Roja/Red Rock (Spa-Eng) (Let's Read). 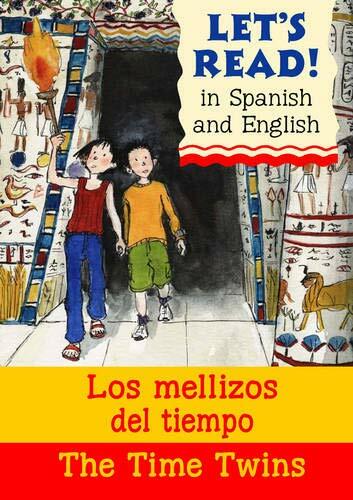 Contains a parallel text story in English/Spanish, for use at home, school or libraries for age 8+. This work contains illustrations and quiz page as well as pictures that aid comprehension and speech bubbles that highlight simple words and phrases. Stephen Rabley is an experienced children's author with thirty published titles. He has written stores for teenagers and numerous language texts for students of English as a foreign language.